Based in Congleton Complementary & Alternative Medical Centre, I offer homeopathic treatment – treating a wide range of health problems gently and naturally. I treat people with a variety of illnesses from acute conditions such as coughs, colds and flu, to chronic diseases such as chronic fatigue, asthma, skin problems, digestive problems, hormonal problems, etc . Contact me to find out how homeopathy can help you. 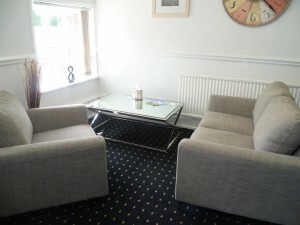 There is car parking available close to Congleton Complementary & Alternative Medical Centre. The centre is easily accessible from the following nearby towns and villages; Alderley Edge, Bramhall, Biddulph, Congleton, Crewe, Hazel Grove, Holmes Chapel, Knutsford, Leek, Macclesfield, Middlewich, Nantwich, Northwich, Poynton, Prestbury, Sandbach, Stoke-on-Trent, Wilmslow, Winsford. For directions, please see the website.